Wow, can you believe that Christmas is less than two weeks away? I'm no where near prepared, and I have yet to put up my decorations. I want to get a tree but I'm not sure if I should get a real one or not considering LO is so very curious and bound to put something in her mouth. Oy. My family is coming to stay for the holidays as well, so I'll need to get ready for that too. So much to do, so little time! 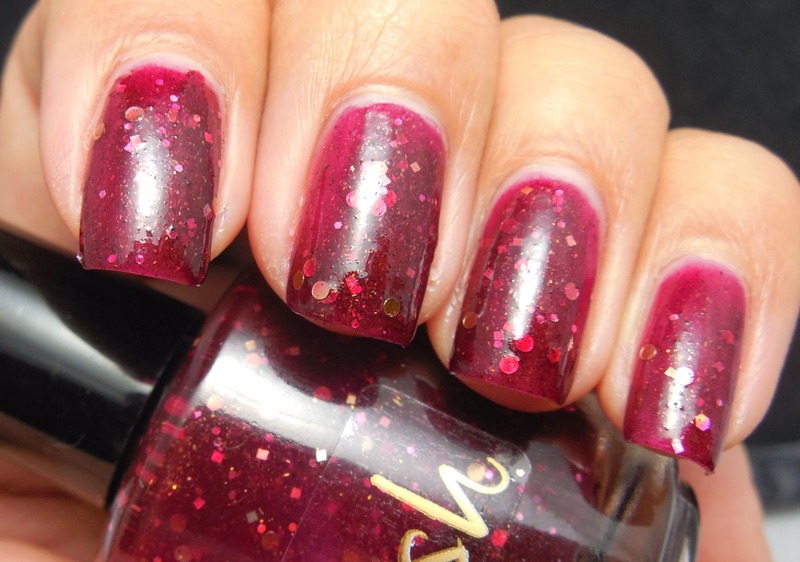 I'm in a red mood this week and I've got a delightful red jelly glitter that's perfect for the occasion. 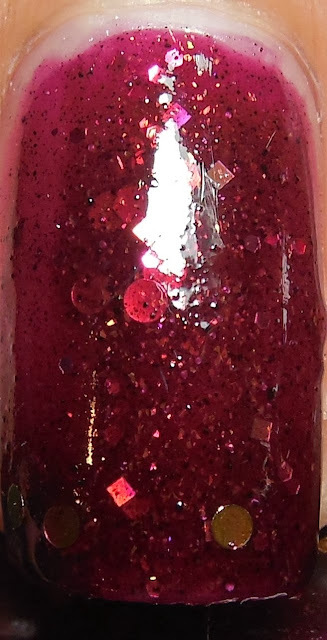 This is Pahlish Fevers And Mirrors and jelly is a deep garnet red jelly that is filled with gold holographic circles, squares, hexes and shimmer. It applied a bit patchy so make sure to let it dry thoroughly between coats. It evened out by the fourth coat and luckily it ended up not getting overwhelmed by glitter. It dried matte so I used a generous layer of topcoat to add shine and hasten drying. From afar the polish looks relatively simple but when you get up close you can see all the complexity of the components within the red jelly. I love the depth and squishiness all the glitter and flakes give the base, and looking at the red makes me hungry because it looks like a strawberry preserves. It's a fabulous color for the holiday season with the gold and red together yet works well year round. 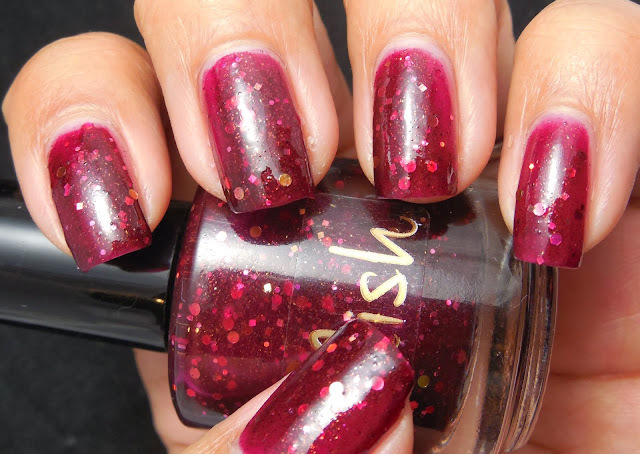 Pahlish is one of my go to indies for jelly glitters, and this wonderful creation reconfirms that for me. Do you have a favorite brand for jelly glitters? Are you ready for the holiday yet?